Family Search is a wonderful site to begin genealogy research. It is managed by the Church of Jesus Christ of the Latter-Day Saints. Click Here to go to the site. 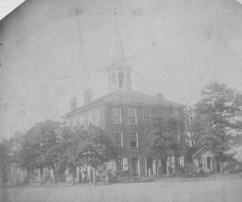 In preparation for the Civil War 150 Anniversary there are several links on this site to start your research. Click Here to look at Civil War era records. New South Carolina records on the historical records collection site. Click Here to see them. Watch this wonderful video of the Victorian House. The great, old house was built for $10,000 to be the residence of L.H. Brightman. It was completed in 1902. The Brightman family lived in it a very short time. It was also used for the Millersburg Sanitarium from 1907 to 1909. 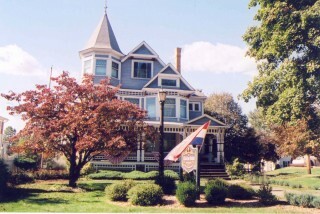 Currently, it houses the Holmes County Historical Society. Read more about this house in Holmes County Historical Sketches by Brooks Harris. The Grave Adventures of the Holmes County Library Ladies have launched a website dedicated to Holmes County Cemeteries! Online cemetery documents, videos and more are available to help with your genealogy and local history research needs. We hope you will visit often as we continue to update the website. Enjoy! Visit Holmes County Cemeteries. The Holmes County citizens had a spectacular July 4th celebration in 1887 when the Soldiers’ Monument was unveiled. A committee headed by Dr. J. G. Bigham of Millersburg, a former soldier, was formed to raise funds for this monument. This committee raised $2,312 for this effort. The monument is made of granite, with the inscriptions of the names of four leaders of war: Washington, Jackson, Grant and Scott. This is a picture of the monument being transported into Millersburg. The Soldiers’ Monument in the Holmes County Village square today. 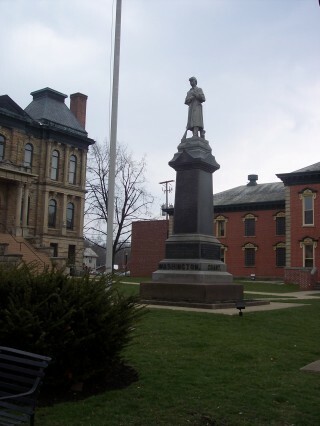 Visit the monument next to the Holmes County courthouse in Millersburg or read about the monument in Holmes county Historical Sketches by Brooks Harris. 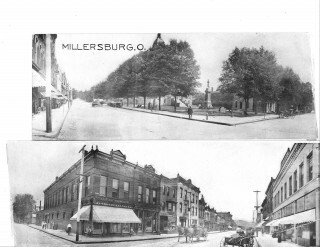 This is an old postcard showing downtown Millersburg. The postcard is not dated, but since the Soldier’s Monument is shown, it has to be after 1887. 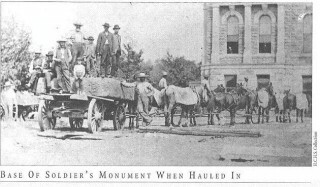 The monument was unveiled on July 4, 1887. The next blog post will be about the monument. Welcome to the first episode of the Grave Adventures of the Holmes County Library Ladies! Sit back, relax and enjoy the fun as the ladies take you on a virtual tour of Oak Hill Cemetery in Millersburg, Ohio. The genealogy enthusiast will find the important information provided helpful in making their visit a prosperous one filled the many genealogical gleanings. Historical accounts of some of Millersburg’s prominent citizens are sure to please any history buff. Turn up the volume (we had a little trouble with the wind), break out the popcorn and enjoy Part 1 of Oak Hill Cemetery! Looking for more Grave Adventures, visit the Library’s YouTube Channel. When the library was under the courthouse. This is our own Bonnie “Poulson” McKelvey. She is sitting in the libary when it was located under the courthouse. The Holmes County Library first opened its doors in the basement of the Court House on December 7, 1928. There were only 500 volumes in the shelves and 100 residents registered to use the library. The library was moved to the building where the Board of Education now inhabits on June 22, 1975. Bonnie works at the Central Library in Millersburg. If you would like to read more about the history of the library, come in to the Central Library and look at “A Brief History of the Holmes County Public Library” by Fred W. Almendinger. 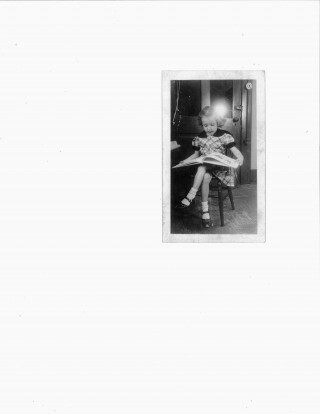 This is the new site for the genealogy and local history blog. 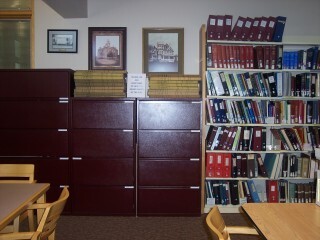 There will be posts every week about Holmes County history and genealogy information. Please stop back often for more updates.